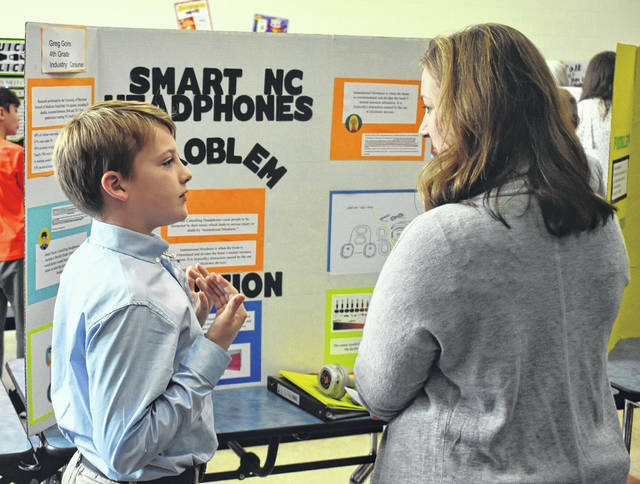 Fourth-grader Greg Goins, left, tells Jill Binau about his idea of smart noise-canceling headphones during Clinton Massie’s-Invention Convention on Wednesday. 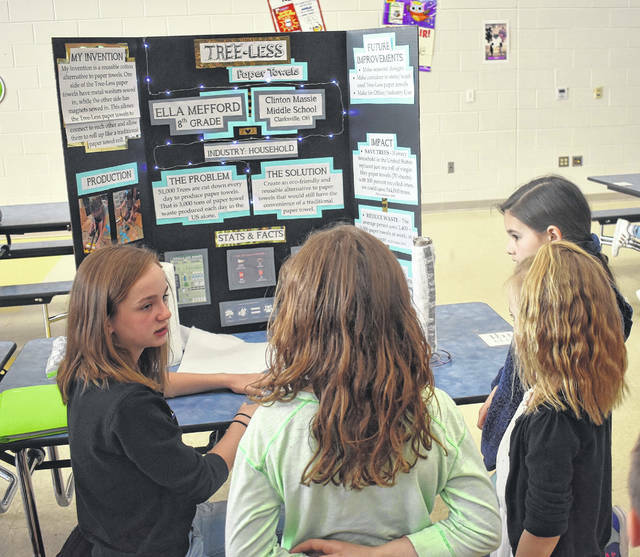 Eighth-grader Ella Mefford, far left, tells a few Clinton-Massie students about her tree-less paper towels project during the school’s third annual Invention Convention on Wednesday. Clinton-Massie Elementary School students showed off their creative scientific crafts during the third annual Invention Convention on Wednesday. 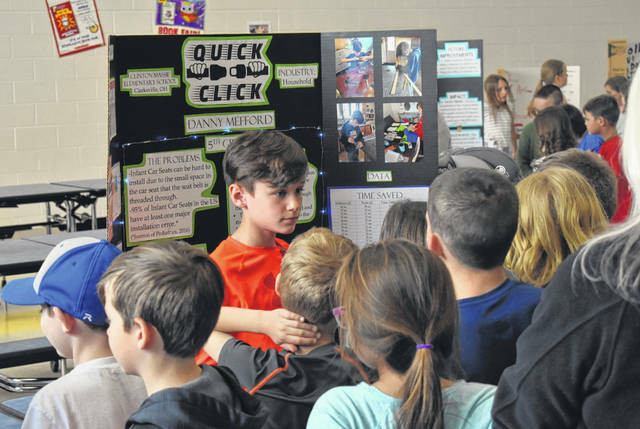 Clinton-Massie Elementary students check out fifth-grader Randy Mefford’s quick click seatbelt idea for infant car seats on Wednesday during the school’s Invention Convention.